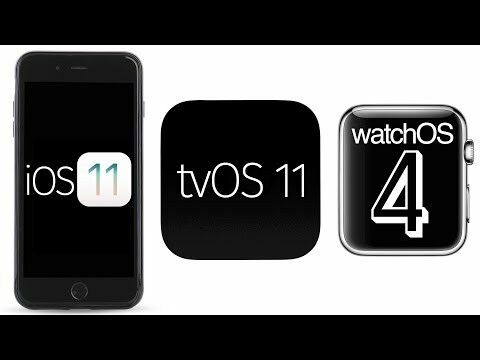 Apple on Tuesday launched its latest and greatest mobile device software in iOS 11, watchOS 4 and tvOS 11. AppleInsider goes over everything you need to know, including a summary of the most important OS changes, in this video. For reviews, news, tips, features and more, subscribe to AppleInsider on YouTube. One of the apps I use on Apple Watch crashed this morning on WatchOS 4. If I recall correctly, developers never saw a beta of WatchOS 4, correct? Obviously, I will have to contact the developer but I fee for them since today, they also have millions of more users on their iPhone app. Btw, set aside a day or two if you plan to install WatchOS 4 on a series 0 watch. Yeah I notice it takes a very long time to update my series 0 watch, thought it is my internet connection problem. On the somewhat related note, does anyone see the new emoji? I couldn't find my exploded head. Downloaded iOS 11 on my iPhone 7 Plus last night and my phone is now lightning fast. Fantastic to use. This is the version of iOS where all the 32 bit apps stop working for good, right? If so, I'm going to need to wait until I can find worthy replacements for the one or two I actually use on a regular basis. Can the phone produce a list of 32-bit apps "soon-to-die" that I can preview in advance? Yes. I opened a known-old app, and when the phone gives the "32-bit" message, the "Learn More" button gives the full list on the phone. AND you can see the list in Settings -> General -> About -> Applications. Despite some WiFi glitches (where the iPhone lost WiFi contact) my Apple Watch Gen 0 updated in about an hour. It would have been a LOT quicker without the glitches. But that wasn't the fault of the watch -- I had the same glitches where I had to reconnect to WiFi several times while updating from OS 10.3.3 to OS 11. My phone kept dropping its WiFi connection -- but it did the same while updating to OS11. Otherwise, I had no problem. Updated my i6S+ with iOS 11 and the battery is already at 58% only less than 4 hours into the day. Someone mentioned indexing, mine was also down a bit so I've just plugged it back in, but indexing makes sense, will see tomorrow/next day status of battery. I'm really upset about this update!! The essentially ruined the watch for me. I can no longer see the playlists I keep on my phone and control them on my watch. It was the ONLY (Seriously only!) reason I purchased the watch! The new "now playing" function is NOT the same. I can't see the playlists or choose a specific song. As a dance instructor this is crucial. My phone plugs into the studio speakers and then I can select the music from my wrist without having the front of the class. How could they eliminate a vital function with no warning!? I chatted with tech support and they initially said "No way we eliminated that!" and then "OH, yeah, I guess we did". And there is nothing anyone can (or will) do. And apparently there is no way to uninstall the update either. UGH!! I feel like the "now playing" function isn't much more than I can do with some Fitbits! While that does sound frustrating for you there are alternatives. At the gym where I work we installed a fairly low cost (I think around $10) Bluetooth receiver from Amazon. I can pair my Apple Watch to it. Now, I load a few playlists of songs onto my Apple Watch, connect my Watch to the Amazon Audio unit and start class. Instead of playing the music from my iPhone, I play it from my Watch. The playlists that I have on my Watch are scrollable and I can select the song I want to play.